In early 1998, a nearly 100-year-old piece of history vanished forever when the ‘Aiea Sugar Mill was torn down. The building had served as the center of the community for nearly a century. 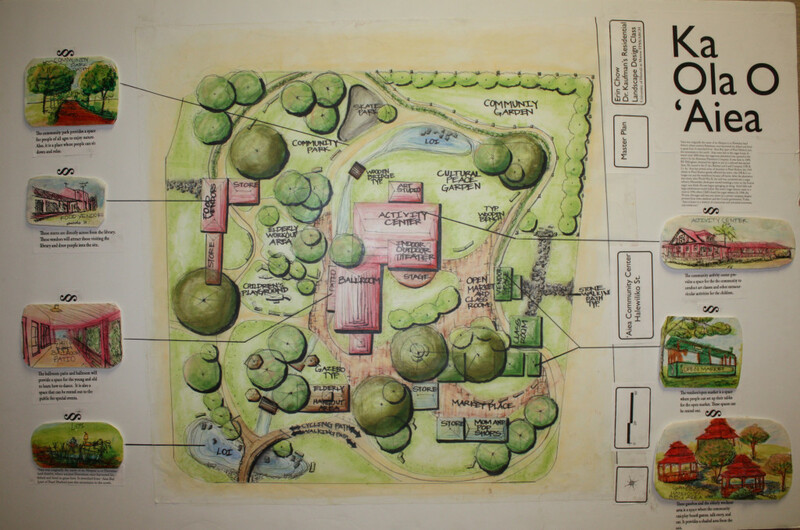 With some hard work, however, we can make this site serve as the center for our community for a century more to come. 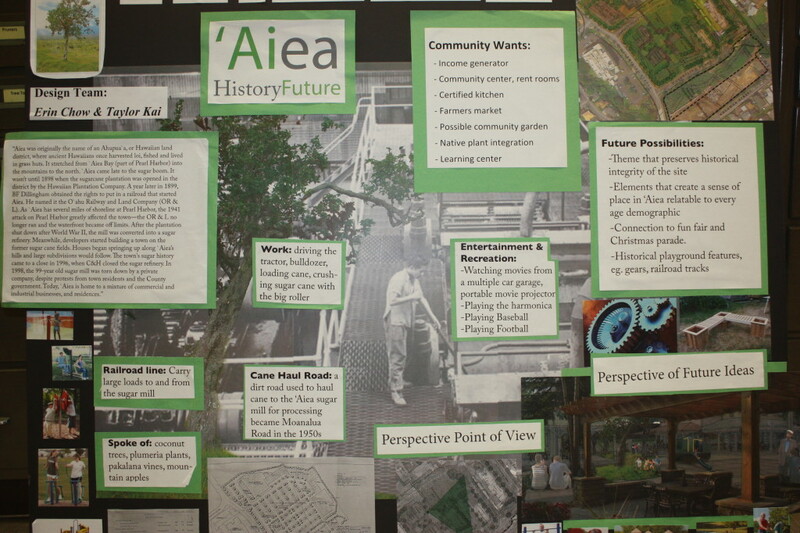 The ‘Aiea Community Association envisions developing the former ‘Aiea Sugar Mill site to serve as a gathering place for all generations. 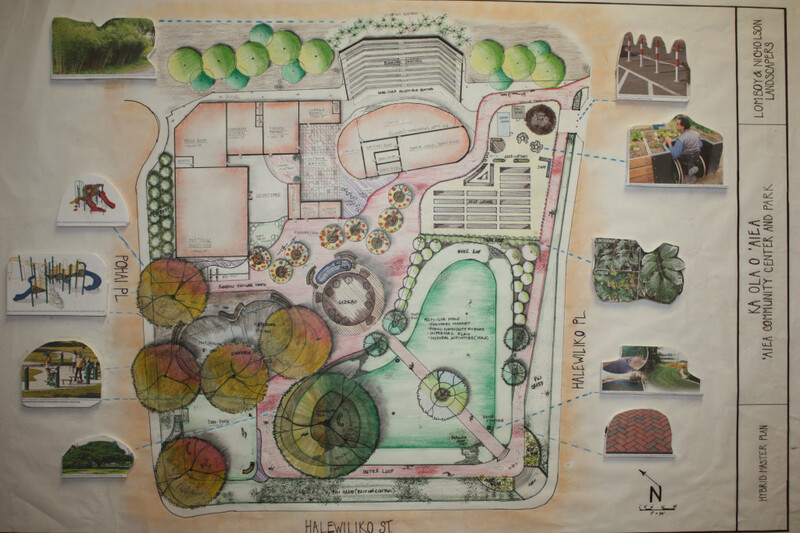 Emulating the design and community feeling of old ‘Aiea town, the site will include a new, larger ‘Aiea library, a community center, indoor and outdoor recreation areas, and a senior/rehab center that will serve the island at large. Thanks to our City and State officials, the first steps in achieving this dream are already underway. In 2002, 6.8 acres of the former ‘Aiea Sugar Mill site was purchased by the City & County of Honolulu for use as an ‘Aiea Town Center and elderly housing. The following year, the State allocated and released money to purchase another portion of the site to use as a home for a new ‘Aiea Library. It was a long and grueling process, but thanks our community’s advocates with a lot of help from our State officials, final approval was given to build a new library on the land that was purchased in 2003. Groundbreaking on the project occurred in March 2013. 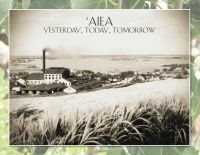 The ‘Aiea Community Association is hard at work to spearhead the development of the rest of the sugar mill site. Stay tuned to our website for more updates! Below you will find some beautiful conceptual landscape designs for the old ‘Aiea Sugar Mill site (the areas bound by Pohai Street, Halewiliko Street, and Halewiliko Place). 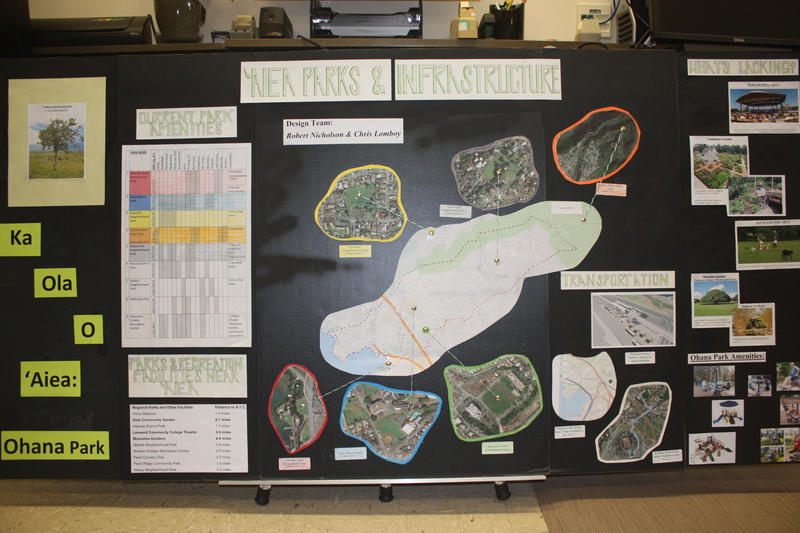 These designs were generated in a University of Hawaii TPSS Landscape Design Class for the ‘Aiea Community Association in the Fall semester of 2014 under the instruction of UH Professor Andy Kaufman (thank you for your help, Professor Kaufman). Take a look at them (click each one to view them at a larger size)–they’re very well thought out and extremely inspirational! Photo credits: Concept art of ‘Aiea Public Library is by CDS International. 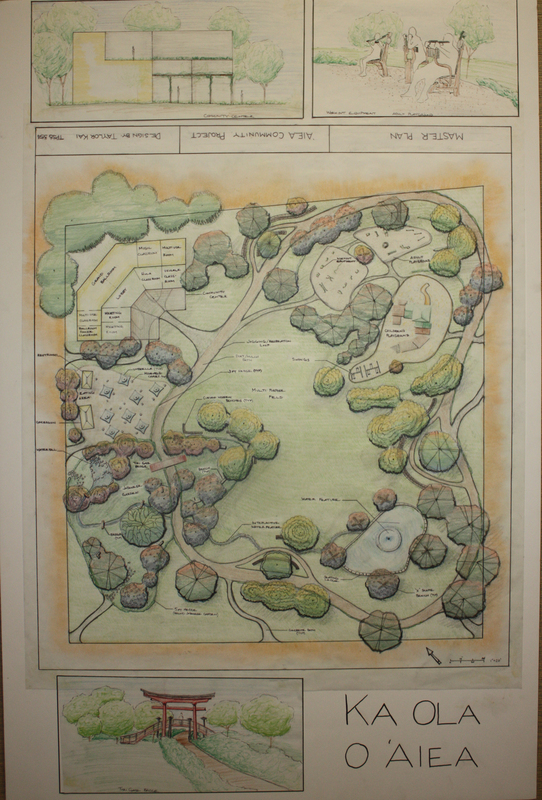 Images of the conceptual landscape designs were created by University of Hawaii students taking a TPSS Landscape Design Class in Fall 2014 under the instruction of UH Professor Andy Kaufman, and are used with their permission. 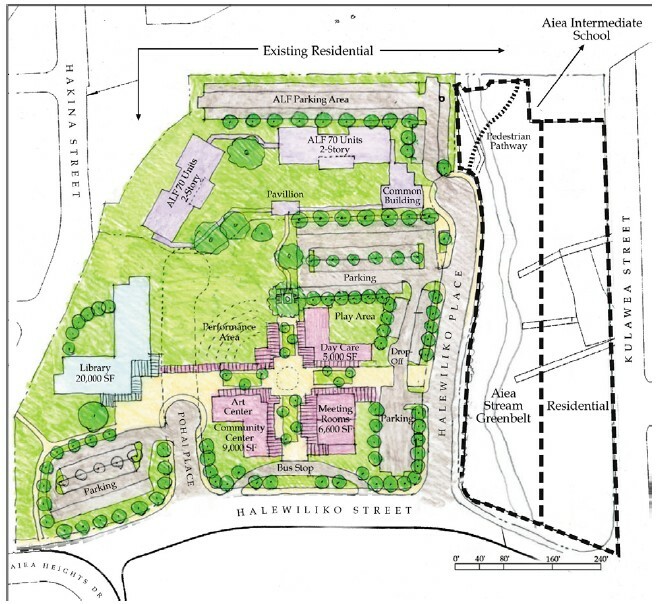 All other images are taken from the ‘Aiea Town Center Master Plan. What do you want to see built at the old sugar mill? We need your help! We want to know what YOU want to see built on the old ‘Aiea Sugar Mill site. What features do you want to see? A playground? A community center? Please fill out this short, 2-minute survey to tell us what you would like to see for your community, whether it’s a senior facility, dog park, trees, gathering place, or anything else. Please invest two minutes of your time and share your ideas!